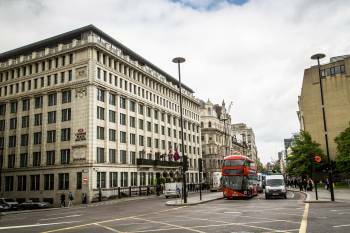 Crowne Plaza London – The City is the flagship hotel for the EMEA region of Crowne Plaza® Hotels & Resorts brand as part of the InterContinental Hotels Group global portfolio. Built on the foundations of Henry VIII’s Bridewell Palace, the 204-bedroom hotel featuring British designer inspired suites, is centrally located in the City of London and a stone’s throw from the city’s top tourist attractions and River Thames. Guests are easily connected to all parts of the vibrant metropolis; positioned adjacent to Blackfriars underground and railway station with direct links to Gatwick International Airport and St Pancras Eurostar terminal. From complimentary high speed internet access throughout the hotel, and the Sleep Advantage® program, Crowne Plaza London – The City boasts a conference floor with 5 meeting rooms and a business centre, 2 AA Rosette award winning Italian and Chinese restaurants, an all-day lounge, cocktail and champagne bar with 9 historic vaults and a fitness centre. The Crowne Plaza London – The City hotel offers a host of state-of-the-art conference facilities and meeting rooms for groups of all sizes, combined with impeccable service and an excellent range of refreshments. From the larger Bridewell Suite with theatre-style meeting rooms up to 180 delegates to smaller sized executive boardrooms, the five meetings rooms are located on a self-contained conference floor with a dedicated Business Centre for guests to use at their leisure.